The emotional pain of losing a loved one is overwhelming. You can’t do it alone. Grief needs a compassionate witness. It needs to be expressed in order to move through the loss. The passage of time doesn’t heal grief. Often we deny our grief to make other people comfortable. The longer we deny grief, the more difficult it is to eventually face it. I meet people everyday who are crippled by denied grief. I can see it in the way they carry themselves, the look in their eyes, their health issues, their lack of vitality, and their inability to love again. My Story: I was 7 months pregnant when my husband died in Vietnam. Mother told me to be strong for the baby. I pretended Howard didn’t die and would come back to me some day. My mind did what it had to do (or thought it had to do) to survive the loss. Denial is a vital stage of grieving. The difficulty arises when denial stays too long. Twenty-six years after his death I walked our daughter down the aisle at her wedding and the armor of grief cracked open. The grieving began. Grieving has shown me that it is through the process of grieving that our hearts, minds, and spirits open to encompass so much more. It allows us to grow, mature and ultimately to feel and experience the compassion and creativity that lays beyond dormant grief. When I received my credential as a Certified Co-Active Professional Life Coach in 2004, I knew my experience could benefit others who were facing the same loss I had experienced. I welcome inquiries about my work and encourage you to contact me. “The paradox of grief is that while it can be overwhelming, it is, in the end a gift. A gift? Yes. Grief is how you heal a broken heart. And if you deny it or hide it or try to duck it, you only delay it. The writer, Annie Dillard said, ‘Pain is a terrible thing to waste.’ As you work through your pain you will see that you have the power to transform it and use your hard-earned wisdom and insight to help someone else.” –Laura Palmer – Author of Shrapnel in the Heart – Presented at the SDIT gathering in Washington D.C. in 1992. Every action I took and every decision I made after Howard’s death was based on running away, hiding in shame or trying to climb through the wreckage of denied grief. Loss is neither a disappointment to be gotten over nor an illness from which one recovers. It is a deep wound that must heal slowly from the inside out. 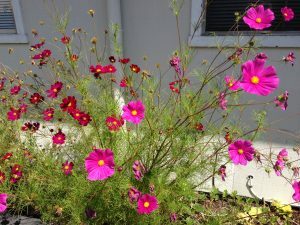 – Living with Grief After Sudden Loss – Hospice Foundation of America. But grief didn’t give up on me. It kept chasing me, as I tried to outrun it. 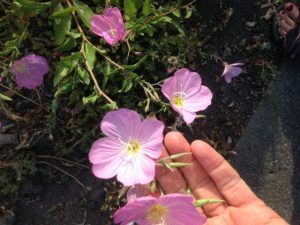 After I suffered one loss too many at the age of 45, I tumbled down into a major depressive episode. My daughter didn’t recognize me. I was suicidal for the first time in my life. Thank God, I changed my life dramatically and began to address the denied grief by seeking help and entering a 12-Step Recovery Program for the addiction that I was using to keep my grief buried. I also started writing. As a result I was offered a trip to visit The Vietnam Veterans Memorial Wall by a Vietnam veteran who read an article I’d written in my local paper about being an invisible casualty of the war. 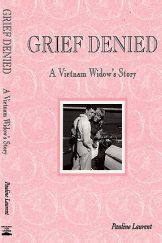 After that trip to DC in 1995, I was able to finish my book: Grief Denied A Vietnam Widow’s Story. Myself, my daughter who is now 50 and my two granddaughters, age 22 and 18, were gifted with another trip to The Vietnam Veterans Memorial Wall in June, 2018 to commemorate the 50th anniversary of Howard’s death. Both of these trips to the Wall were sponsored by Vietnam Veterans. Having lived over half of my life in the first stage of grief, “Shock & Denial”, is it any wonder I’m committed to supporting others in grieving sooner rather than later? Feel free to contact me by calling 707-578-4226 or 707-332-1406 or email me at plaurent@griefdenied.com to discuss how I may be of service to you. Denied grief doesn’t go away, it just goes underground. available in soft cover for $14.95 , plus shipping/handling. “My initial coaching session with Pauline was helping me with the grief of losing my dear cat. The next step was to transition from working full-time into an early retirement. I learned a lot about myself and it’s pretty shocking to see how much ground we have covered. Pauline helped me choose different perspectives regarding many situations in my life that made it easier to make the changes I wanted to make. It’s frightening, sad and scary to end our work together, however, after only one year, I feel I have developed a strong inner nurturing mother. I’ve also become a risk taker. Thank you, Pauline, for helping me escape from the “cage of fear” I’ve lived in for most of my life. I’m now happily retired, have a better relationship with my boyfriend, have started writing, taking music lessons, and doing yoga regularly – all as a result of my work with Pauline as my life coach. I’m grateful and excited about my future. Thank you for this year. I could not be where I am without you. My internal world-view is different. You have taught me self compassion, to cut myself some slack, and quiet the voice of my “inner critic”. I have become someone who can live by myself, be there for others but not at my own expense. You have the ability to press issues without berating. You have a good combo of tough and gentle; yet, you can’t be ignored. You helped me see a lot about myself and I didn’t get defensive. I am surprised by how much I have grown and changed in the past year. For more information about Pauline visit her Grief-Coaching web site. Life does not accommodate you; It shatters you. Every seed destroys its container, or else there would be no fruition. Please contact Pauline Laurent by clicking here.